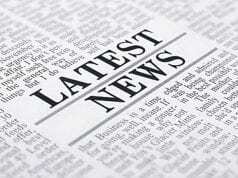 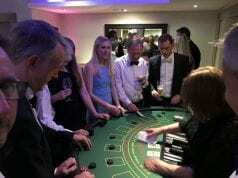 Each Year at the BTS awards ceremony we have a silent auction with some fantastic experiences, goodies and services on offer. 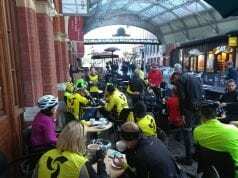 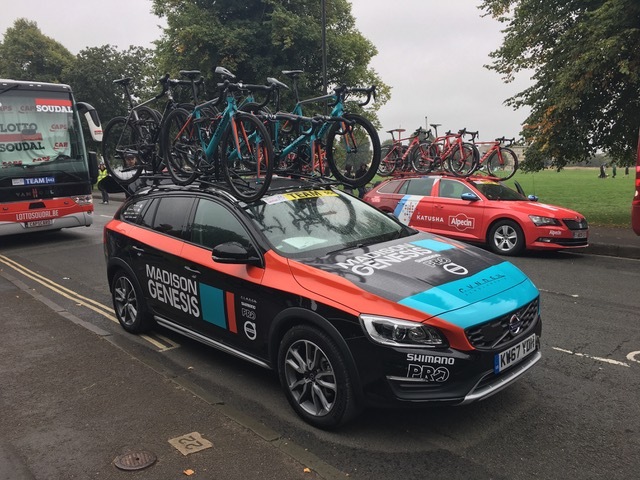 Last year Ian Haywood was our highest bidder for a day out at The Tour of Britain with Madison Genesis. 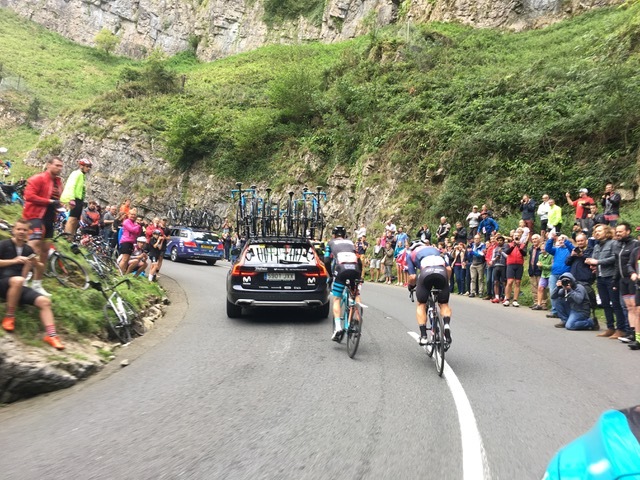 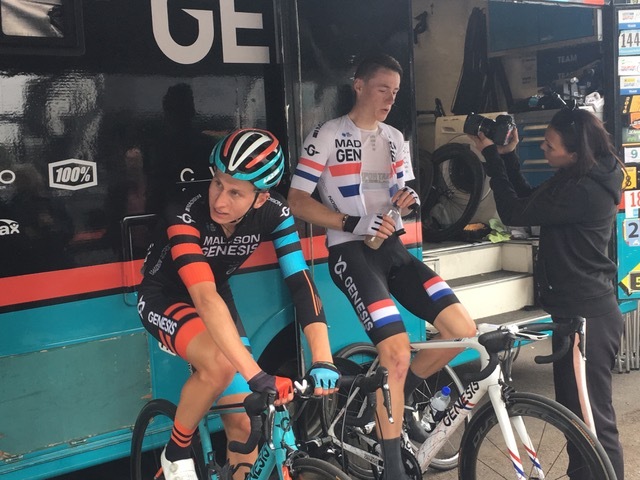 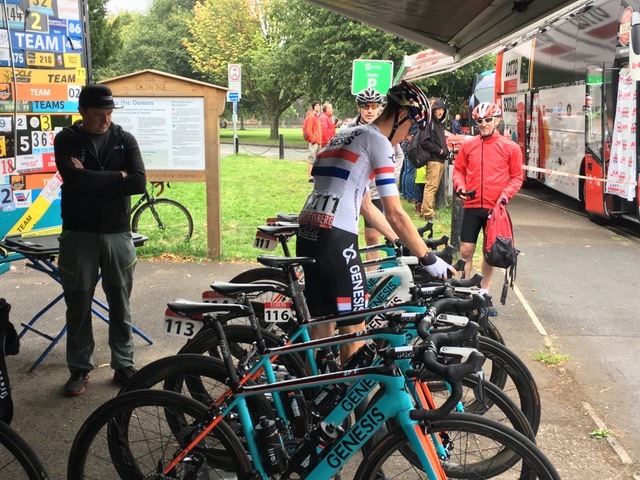 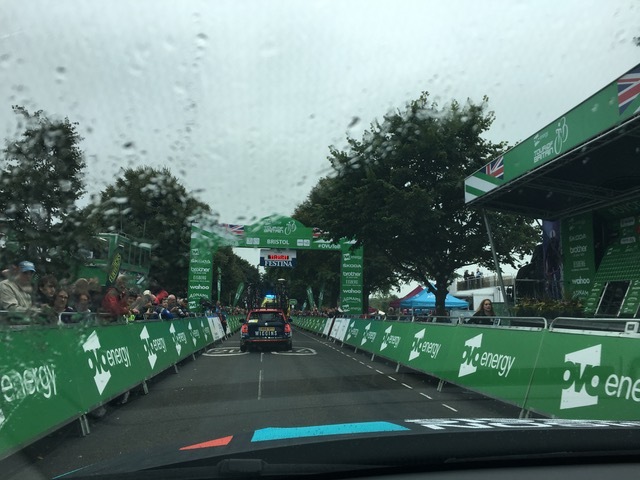 Ian spent the day with them for Stage 2 in Devon on Sept 3 looked after by the directeur sportif and whizzing around in a snazzy Volvo for the day. 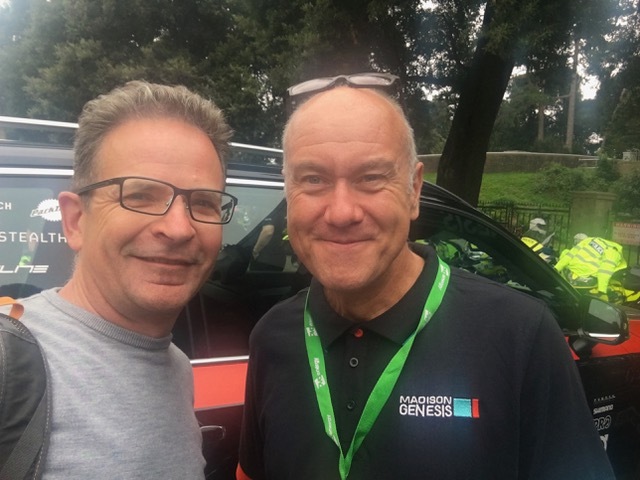 The DS was Colin Sturgess ex world track champion, so as well as the action on the stage, there was lots of good chatter too.